We are pleased to introduce Australian Christian fiction author, Paula Vince, as our feature author for this month. Paula has very kindly answered some questions for us, so that we - and you! - can get to know her better. This month's feature also launches our first ever book giveaway! We are giving away Paula's latest release book, "Best Forgotten ." See the end of this post for details on how to enter the competition. Paula is the author of four adult contemporary romance / drama novels as well as the Quenarden series, a young adult fantasy adventure trilogy. 1. Thanks for joining us on our blog today Paula. Can you tell us a bit about yourself? Any hobbies you have? 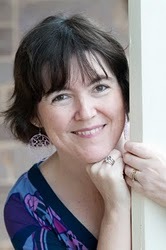 I’m a homeschooling mum with children aged 7, 12 and 16. We tend toward the relaxed, interest-driven end of the home education spectrum and it’s been lots of fun. I love country drives, walks and hikes, which is why I’m thankful to live in the Adelaide Hills, one of South Australia’s most beautiful spots. I sometimes enjoy cooking new dishes, although my husband and kids don’t always appreciate being guinea-pigs. I like to write with the dishwasher or washing machine humming in the background, as this makes me feel as if I’m working productively. 2. Whose writing do you admire? Anybody whose stories make me look forward to their next book. I’m happy to be able to rattle off a list of Australian Christian fiction authors whose books fit the bill perfectly. Mary Hawkins, Amanda Deed, Meredith Resce, Carol Preston, Anne Hamilton, Dale Harcombe, Jo-Anne Berthelsen, Laura O’Connell, Janelle G Dyer. I’ve also been reading some brilliant unpublished manuscripts recently and hope to see their authors soon take their places on my shelf. It’s amazing to see the fine quality of stories which haven’t seen the light of day yet. 3. When you get writers block, what do you do to try and get out of it? Going for drives works well. Being confined to a small space with scenery flashing past and rhythmic motion is a great way of getting ideas flowing. Drudge work helps too, as if there really is a muse who gets anxious when we don’t pay her attention. Finally, I find writing any silly thing that strikes my fancy is a good method – a bit like shaking the plug from a bottle of tomato sauce. Laura Ingalls Wilder’s “Little House” series, L.M. Montgomery’s “Anne” and “Emily” series and every other book she wrote, “Trixie Belden”, Louisa May Alcott’s “Little Women” books and many others. As I used to love stories set in the past, it’s ironic that I became a contemporary fiction author. 5. If you could be any fictional book character for a day, who would you be, and why? I decided to choose Pollyanna, from Eleanor H. Porter’s series. She’s had her detractors who think she stubbornly refused to acknowledge the bad, but they have the wrong idea. She never denied the negative but chose to focus on the positive. You see, I have a melancholic streak, so bubbly enthusiasm isn’t usually my gut reaction to anything less than wonderful, although I try to make it my second or third reaction. I’m also an introvert who tends to get brain-freeze and tongue-tied in social situations. It’d be great to experience the world from the point of view of a sunny sanguine for a day. Besides this, she did so much good, helping people cure their depression and making them feel happy just by being herself. And she married Jimmy, who I used to think was one of the manliest men of children’s literature. 6. Can you tell us about any of your current works in progress, and any books that are coming out soon? I’ve made a start on a new novel with the working title, “Along for the Ride.” It has a quiet heroine with a secret that’s spread its guilt through her whole life. She’s on a mission to make up for it but doubts if she can. There is also a really lovable talented blonde hero (I made him blonde because I realised I’ve had a thing for dark-haired heroes and wanted to break the mold). He receives some unexpected news that knocks him flat. It’s going to be a book about healing on all levels, emotional, spiritual and physical. It will be some time coming, as “Best Forgotten ” is still recently new, but I’m already enjoying it thoroughly. 7. This is our extra special question, reserved for our Aussie guest authors: What's the best thing about being an Aussie? I love our vast space, full of contrasting beauty. I love our unique flora and fauna. I love our warmth and the blueness of our sky. I love our particular style of humour and candour, evident in some of our descriptive vernacular. Many Aussies, like me, can probably claim to be descended from strong, admirable and courageous people of faith, who lived rugged, gruelling lives but kept their chins up and made the best of it. We have their blood flowing in our veins and I love that. Well, that’s more than one thing, but they all blend together. Here it is folks, our first ever book giveaway! We're thrilled to be offering you the chance to win Paula's latest book, "Best Forgotten". A young accident victim wakes up in hospital and can't remember who he is. Why does he have nothing in common with his family? Why does he despise the person he was supposed to be? Why has his best friend disappeared without a trace? Is somebody after him? His family can offer no solutions. His girlfriend is strangely aloof and he cannot shake off a feeling that the answers will prove more unpleasant than his amnesia. Somehow he must find out as it seems time is running out.Paula Vince has woven elements of secrecy and suspense with her trademark warmth and compassion. 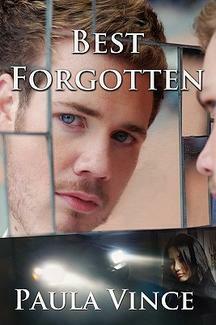 Best Forgotten is an inspirational masterpiece you won't forget. The hero of “Best Forgotten” has total amnesia. If you were in his position, name one thing you’d be sad to forget and another you’d be happy to forget. It is not necessary to put your email address in your comment. We will be announcing the winner of the competition on the blog, and the winner will have 1 week to contact us with their details. 5. The competition ends at 7pm on Friday 26th August, Australian Eastern Standard Time (which is 10am GMT of the same day). The winner will be announced in the early part of the following week. 6. The winning entry will be judged by Paula Vince. Amnesia is a great plot twist, Paula! One thing I'd be devastated to forget is my love for my husband and son and their love for me. The Lord forgives, but sometimes I'd be very, very happy to absolutely forget past mistakes and the regret that comes with the memories. Great to hear about your new novel in progress, Paula. Of course I've read the others and loved them so I won't try and win another. I'm sure whoever does will be blessed. This was a great interview and it's good to learn something new about the authors we love each time they blog. Well done and keep those positive reactions coming. Paula, your latest books sounds like a fantastic read that will keep us guessing until the last page. If I was in the hero's position and had total amnesia, I would be distressed to be unable to recognise my family and friends and recall the many memories I have shared with them. I can't say that I would be happy to forget anything. My unique experiences have made me who I am today, and many of my mistakes have been accompanied by growing wisdom and lessons learned. In that regard I am grateful for the good and the bad because those experiences have allowed me to grow and mature as a person. And I just left a comment on the review of Best Forgotten and can't resist here, either. A great post and always great to learn more of another writer. Many thanks, Jess and Helen, for this new blog! I would hate to forget anything that God has done in my life - note, I said GOD, not Mary! I would be very upset if I would not be able to recognise my family and friends. Also to forget the benefits God had done for me would be distressing. On the other hand, in the past, there were those bad choices and their consequences that I would rather forget. Aha, I think those Trixie Belden novels mark me as a Gen-X, pre-teen girl of the very early 80s, which now seems so long ago. I really enjoyed having this interview. Thanks everyone, for your comments too. The thing I love remembering are all the people who have had a part in who I am now. I am very blessed. And how wonderful to shed past dysfunctions and bitterness. I think I had only 1 Trixie Beldon book, but I may have read more. They probably weren't all the rage anymore by the time I was a teen :P I just hadn't remembered Trixie Beldon for years until you mentioned her. Makes me think of Nancy Drew, but I don't think I read many of those either. I am intrigued to read your book. I would be sad to forget God's love for me. He shows me through my family, friends and forgiveness how much I am blessed. I would be happy to forget any wrongs done to me-to truly forgive and forget. I can't wait to read your next book Paula.. sounds very intriguing. I would love to forget that I ever had self esteem issues - I wasted so much time being self consumed. I'd be really sad to forget those who mean the most to me in life - husband, kids, parents, sisters. I wouldn't mind forgetting all the immature blunders I've made, especially as a first-time parent. the thing I"d be sad to forget is my own personal identity- who I am, where I came from and where Am I going.. it's like falling into an endless pit! the thing I'd be happy to forget are the decisions made that made the dark side of me. Thanks for the interesting comments, everyone. I can relate to so much of what has been said.